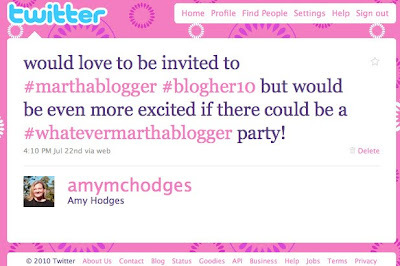 A few weeks before the BlogHer conference, buzz started zipping around twitter about a party happening at Martha Stewart Living Omnimedia. The twitter stream lit up. For some of my fellow bloggers, this was like the mothership calling them home. There are many food bloggers, style bloggers, and organization bloggers who immediately tried to figure out how to get invited. I was curious because, COME ON, Martha Stewart!! However, the truth is I am so not Martha. Not even close. I am a Whatever Martha kind of girl. If you have never seen Whatever Martha or listened to Whatever Radio they are all kinds of awesome. Whatever Martha is a show where Alexis Stewart and Jennifer Koppelman Hutt go back over old episodes of Martha Stewart Living and generally snark and sometimes try to recreate the craft or demo that Martha does. The show won critical acclaim in its first two seasons and they recently started shooting season 3 which will air on the Hallmark Channel in January. So being a Whatever, Martha! 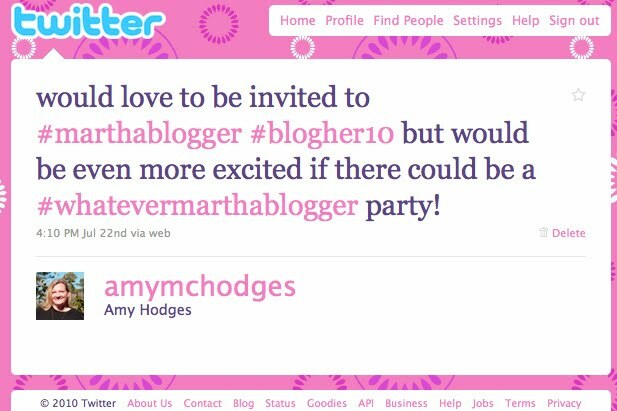 kind of girl, this is the only tweet I sent out about the Martha party. After arriving in style, we had to wait in a long line to be escorted up to the 9th floor. Once off the elevator we were firmly in Martha-land. 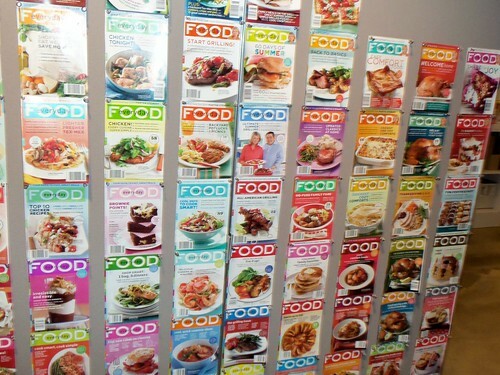 The one Martha Stewart publication that I regularly subscribe to is Everyday Food. Actually my husband is the subscriber. We love it because it really is everyday food. The recipes are easy to follow and the ingredients are easily found. Imagine my delight when I found myself talking to Editor and Chief Anna Last. She was so kind and easy to talk to, one of my highlights of the party. My other highlight brings me back to Whatever, Martha! Not long after exploring the party I realized that tucked into a corner were Alexis Stewart and Jennifer Koppelman Hutt. Brilliant! I dissolved into fangirl excitement. I didn't want to intrude on their privacy, but holy cow! Fortunately right before I left the party they were leaving too. I spoke to Jennifer first who is unbelievably tiny. Alexis is just frighteningly thin, but Jennifer looks like she could use a few sandwiches too. Maybe a brownie. 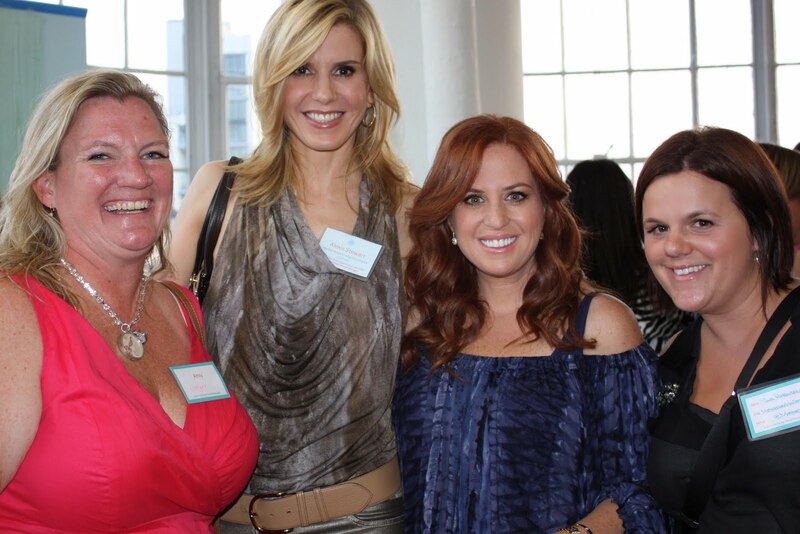 So I got a picture with the two of them and my friend Sue from Motherhood and Me. Then the magic happened. On their radio show, Jennifer is known as "the sound" because girl can talk, and Alexis is known as "the fury." I'll let you figure it out for yourself. So I asked Alexis for the following picture and she happily complied. Seriously, I might frame this picture and put it up in my house. Love. Let me emphasize again, I asked for this picture! I'm so glad she indulged me, she scares me a little. Look at her arms! She could totally take me out! All in all this was an interesting party. I freaking loved seeing Jennifer and Alexis. I had false eyelashes put on for the first time and found them on my pillow the rest of the week. There were some great displays and demos, but it was an odd assortment. I think companies and bloggers are trying to figure out what to do with each other which makes events like this interesting. 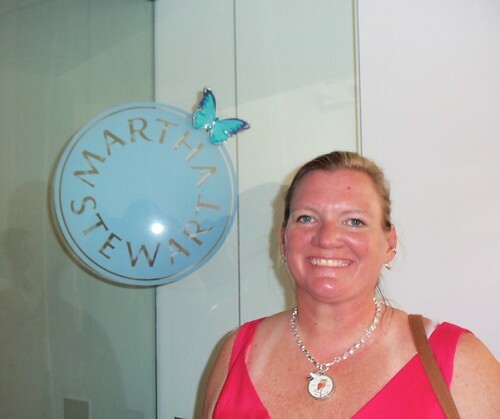 I am grateful I was able to attend and see a little more about the Martha Stewart empire! Stop back by this week for posts about the Zhuniverse tour and my report from the Mickey Moms' Club Meet Up in Epcot this past weekend. Thanks so much for stopping by! Ha! I love this post! Plus, I am so glad I didn't really know them so I wasted nervous to bug them for a picture! I love the annoyed one. Classic! Great post and pictures! LOVE LOVE LOVE your necklace! Thanks for sharing it ALL! Nice to meet you! 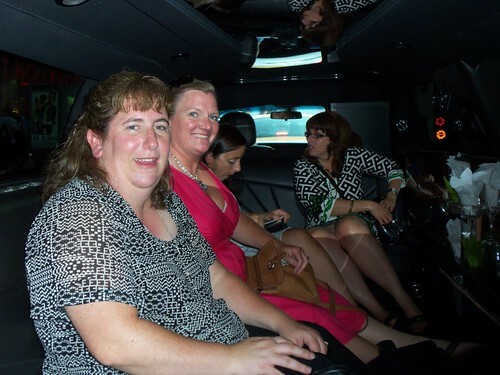 I'm Shelley and I'm going to be going to Bloggy Boot Camp in Philly next week, I thought i would "try" and get through and meet everyone on their sites before I get there... We will see how that goes LOL... Look forward to it, have a great Labor Day! ps i didn't even know where to comment, i love love love Disney i guess you can say that we have been there over 30 times! LOL and the martha post here LOL Jenny was one of my "campers" when she was little so she and i go wayyyy back and she has recently lost a TON of weight! see you soon!! Written and Produced by Amy Hodges. Simple theme. Powered by Blogger.